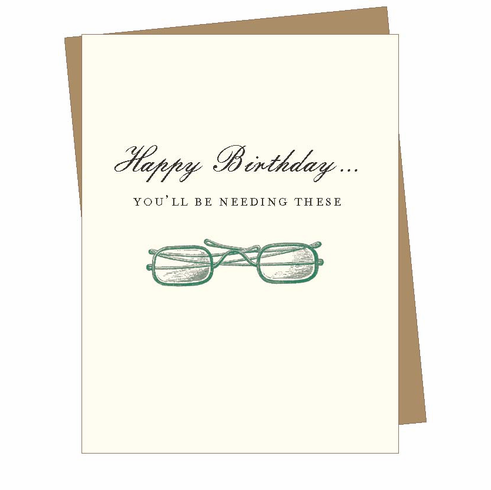 Text reads- "Happy Birthday, you'll be needing these." SO POPULAR we may need to make a series. Blank inside. Blank inside .BellaMuse cards are printed on recycled, natural white card stock, using pure vegetable based inks. All printing is powered by 100% renewable energy.